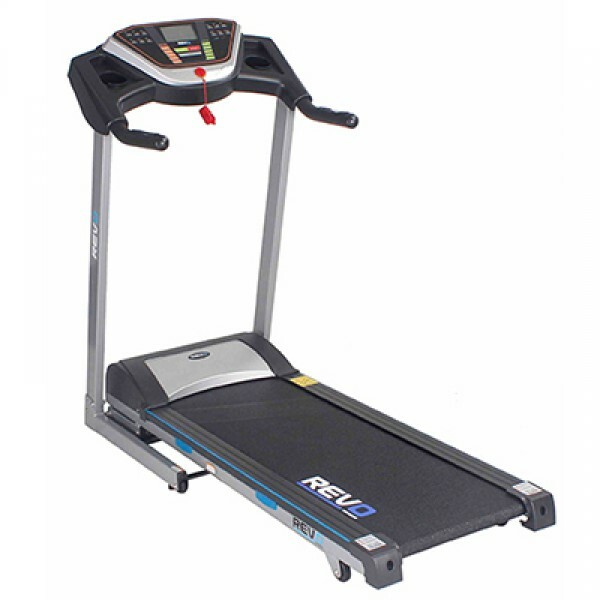 Buy Revo Running Machine RT-103i in Pakistan at Rs.53,999 from Zeesol Store. Free Shipping and Payment on Delivery. Order Now! Free Replacement Policy! Motor Power 2.75 HP DC Motor “Made in Taiwan”. Computer Console Blue back-lit LCD Display showing Speed, Heart Rate, Distance, Time, Calories, Program. Quick Buttons Rapid Speed buttons on computer console. Folding Safety Drop TM distress aided folding / unfolding. Space Saving Simply Folds for space saving & wheels for carrying. Deck Cushioning Shock permeable cushions for reduced impact on knees. User Weight Limit Maximum 120KG (270.5Lbs). Unit Dimensions 1695 x 690 x 1290mm. Unit Weight N.W. 50KG / G.W. 61KG. Quality Sanctions GS, CE, ROHS, EN957.